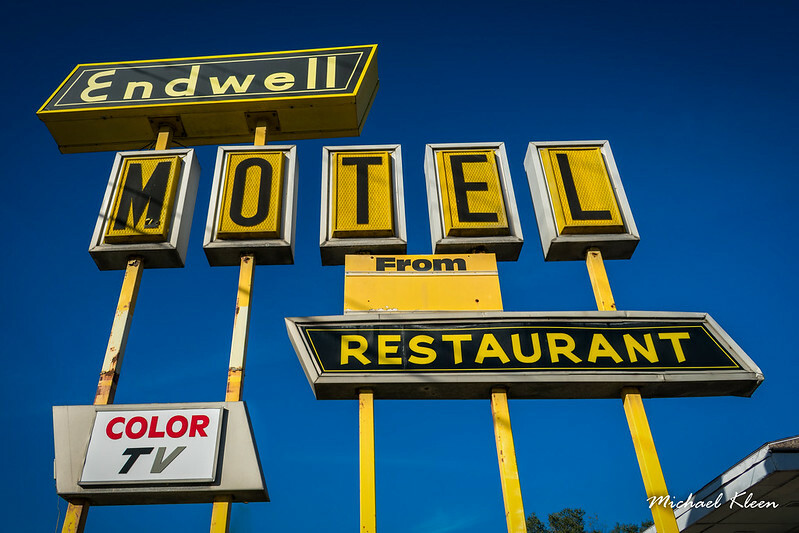 This sign for the Endwell Motel, at 3211 E Main Street in Endicott, New York, west of Binghamton, is a wonderful example of Populuxe style. I haven’t been able to determine when it opened, but it looks like circa 1960s. Usually you find motels advertising free HBO or Cable-TV, but this sign is so old it thinks TV in color is a draw.